The Style 510 Teach-Inn lathe. 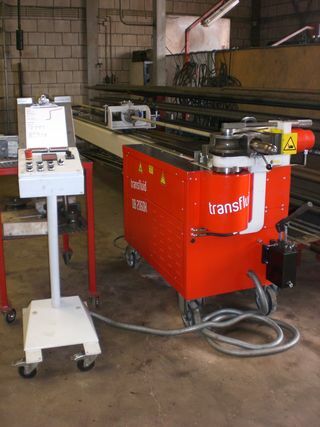 Transfluid pipe bending machine for tubes from 1\" to 2.5\". In Hoekman Shipbuilding we use different machines for the production of our parts and products. Such as milling machines, lathes, benders, plasma cutters and the like. On this page you will find a number of these machines. These machines are not only used for the production of its own components and products, but also for production of components for customers. For information about the possibility to fabricate your parts through us you can contact the technical office of Hoekman Shipbuilding.